Samsung and the other Android phone vendors love to talk about the specs of their devices. They talk about having more megapixels, having more memory, and having faster processors. What they fail to do well, compared to Apple, is real-world performance. Android devices generally have faster processors than Apple devices, yet they suffer from lagging interfaces, pauses, and jitters in simple operations like scrolling a webpage or moving around in maps. Android devices generally have double or triple the memory compared to Apple devices, yet they are constantly chasing the previous year’s model from Apple when it comes to graphical and gaming performance. And with the cameras on these mobile devices, the differences are even more extreme. Samsung has had a number of 16 megapixel cameras for a long time now. And the Lumia camera has a massive 20 megapixel sensor, which presumably would destroy all the competition. But just like in other areas, the larger 16 and 20 megapixel cameras failed in one key metric: Taking good pictures. Here’s a comprehensive review from Phone Area comparing the iPhones6, the 5s, the Galaxy S5, the LG G3, the Lumia 1520, the Xperia 22, and the HTC One M8. They tested all of the cameras in the areas of color, detail, indoor, night, and video. Impressive. But that’s for camera phones. What about all cameras? People who care about taking photographs don’t go by manufacturer statistics. They go by results. And both professional testing and real-world usage point to the same answer: Apple devices produce better photographs. But if you’re still convinced of the Samsung story, here’s a quote from a Phandroid review of the iPhone 6 camera vs. the Galaxy S5. 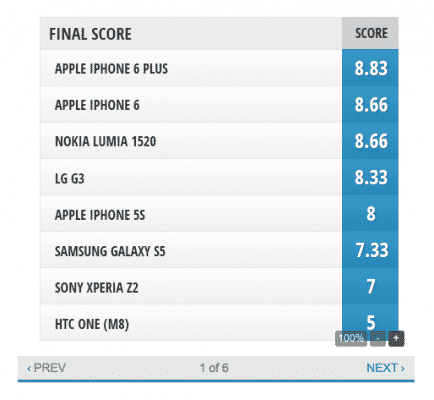 And keep in mind this is on an Android site, which is obviously skewed heavily against Apple. Then I put them on the computer… and that outlook changed. Samsung is known for having the brightest and most vibrant displays on the planet. When reviewing the photos, we weren’t admiring the quality of the photos… we were admiring the quality of the Galaxy S5 screen. We just didn’t know it. Once putting both photos on a neutral device and equal playing field, just the opposite seemed to occur: the iPhone 6 edged the S5 in many cases because of deeper colors with more contrast. 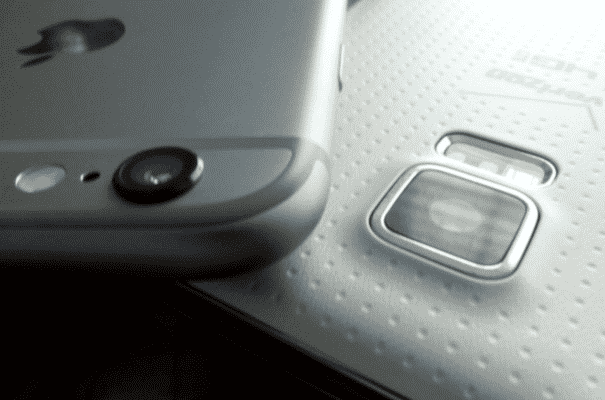 I was absolutely shocked, because I was fully prepared to write this article about the S5 demolishing the iPhone 6 camera… but that’s not the case. When you’re deciding what technology products to buy and use, don’t go by manufacturer claims. Seek out the real-world testing and find out what the professionals in that particular field are saying. This will inform you far more than a megapixel count in a marketing campaign. Here’s another high-end review by DxO— a professional camera rating group that tests everything from camera phones to top-end SLRs.